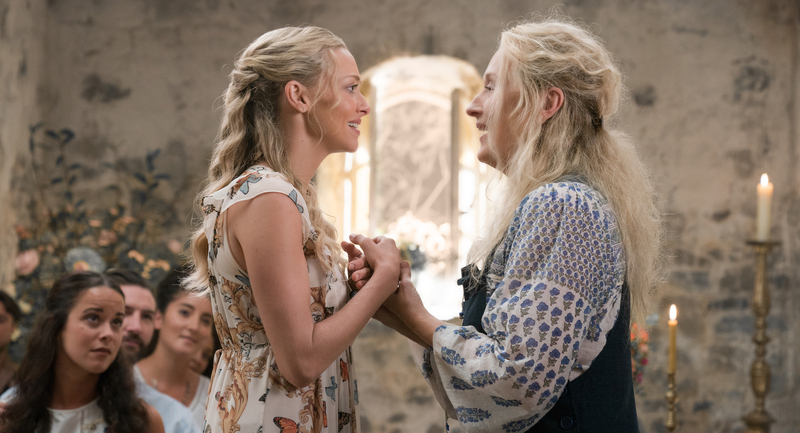 I thought seeing Mamma Mia: Here We Go Again would be a fun romp through ABBA’s lesser-known songs sung by some of my absolute favorite actors like Meryl Streep, Lily James and Cher. And it was ­— I loved it. But what I was surprised to discover is that on top of being a fabulous musical, the film is really a mother-daughter love story full of emotion, loss and connection through the generations — something very powerful for me right now. I lost my mother, Robin, two weeks ago. 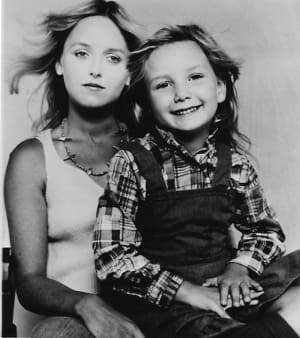 My mother and I had a difficult relationship; she an impulsive free spirit, me studious and cerebral, we never saw eye to eye about her lifestyle choices that often left me cleaning up her messes. In many ways, I often felt like I was the parent and she the child. On a positive note, from her I learned to be independent and circumspect and found ways to express myself through my writing — something she encouraged when I was young. Robin was bedridden for the last five years. Her disease was one I’d never heard of: corticobasal degeneration, a progressive neurological disorder that’s basically a strong cocktail of Parkinson’s mixed with a splash of Alzheimer’s. It’s one of life's bitterest torments, especially since there is no cure. Doctors don't know what causes it. I certainly wouldn’t serve this drink to my worst enemy, let alone my own mother. I was incredibly excited for the distraction of seeing a press screening of Mamma Mia! Here We Go Again. I couldn’t wait to escape into a dark theater, shove popcorn in my mouth, sip an iced tea bigger than my head and zone out to the enchanted ABBA tunes I remember fondly from my childhood. I knew that the incredibly talented Lily James would be playing a younger version of Donna, the role played by Meryl Streep in the first film, in flashbacks. At the same time, the film also follows Sophie’s (Amanda Seyfried) life with her husband and three dads, making the movie both a prequel and a sequel. Warning: If you haven't seen the film yet, there are spoilers ahead. Streep is the same age as my mother. Both were born in June of 1949. Both were beautiful blondes. I had never connected them together in my mind before, but watching the movie was, in many ways, like watching my own mother up on-screen. James plays the young Donna as a free-spirited, sexually adventurous flower child of the 1970s (just like my mother), looking to discover herself as she traipses through Europe, singing and dancing all the way. Not surprisingly, she becomes pregnant (one of the side effects of free love) and doesn’t know which of the three men with whom she’s rendezvoused is the father (the premise of the first film). The sequel maintains that mystery. In the present-day storyline, Donna's daughter, Sophie, is throwing a grand reopening of her mother’s villa, the Hotel Bella Donna, one year after Donna's death. The occasion is bittersweet considering many of the characters are still grieving for Donna, including Sam (Pierce Brosnan). He opens his heart to Sophie, telling her he feels bad for abandoning Donna when she was pregnant and leaving her alone all those years ago. What I think Sophie means is the love between them was big enough to fill both their hearts, even in the absence of a father. The same is true for my own mother. In difficult times, in wonderful times, she had me. I was with her through the good and bad. And I am happy for that. I was her little girl and always will be. It is a perspective I had never considered before. Here's my epiphany: It’s easy for me to focus on all the things I didn’t get from my mother and not realize what I did get — a chance to be loved by her. It made me think about how my own mother carried me, looked forward to greeting me and how excited she must have been to watch me grow. No matter our fate, her love for me was real and that’s powerful. Later in the film, after a fun rendition of “Fernando” sung by Ruby Sheridan (Cher) to her old lover, played by Andy García, it’s Streep’s turn to sing. And it's showstopping. As they harmonized across time and space, unable to touch each other’s flesh but feeling each other’s loving presence, I erupted with sobs. And that’s the power of film. It can be a reminder that love transcends our bodies, planet Earth and the construct of time. I don’t know how or where it exists, I just know I can feel my mother loving me right now. Robin Ann Edwards, thank you for loving me. Your grateful daughter, Shanee. Mamma Mia! Here We Go Again opens Friday, July 20.